As a new-comer to the town of San Pedro, it is easy to get swept away in the view of the most translucent-aqua water and a bright sky after daybreak. If you look closely though, you start to notice the trash that gets caught up along the shore and often swept out to sea. 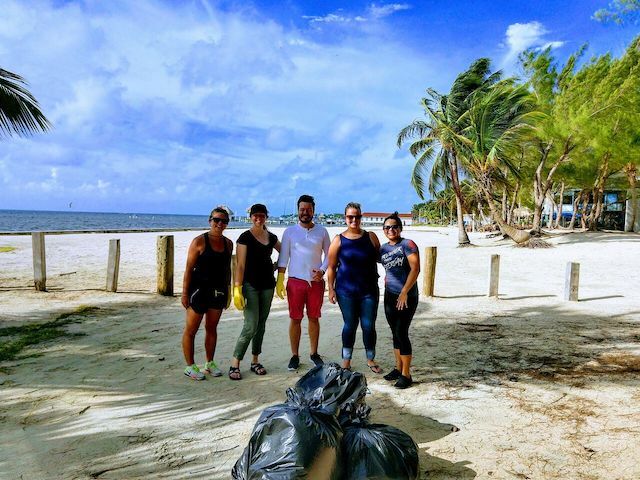 Being new to the ECI Development and Grand Baymen team as the Corporate Social Responsibility Intern, I was eager to participate in the company’s monthly beach cleanup. A group of five of us met early (by my standards, but not for Belizeans!) 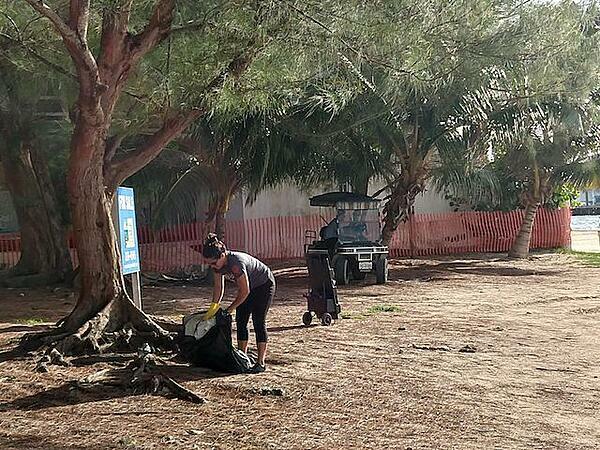 Friday morning to combat some of the trash that gets littered along the beach. Plastic and glass bottles, Styrofoam cups and take-out boxes, bottle caps, wire, straws, and a pair of pants…hmmm: these were just a few of the items we all found ourselves continually bending over to pick up. After just one hour, we filled five big bags of trash without venturing more than a couple hundred meters from the Marriott Sales Office. The event was a testament to the effort ECI Development makes to take care of the community it resides. 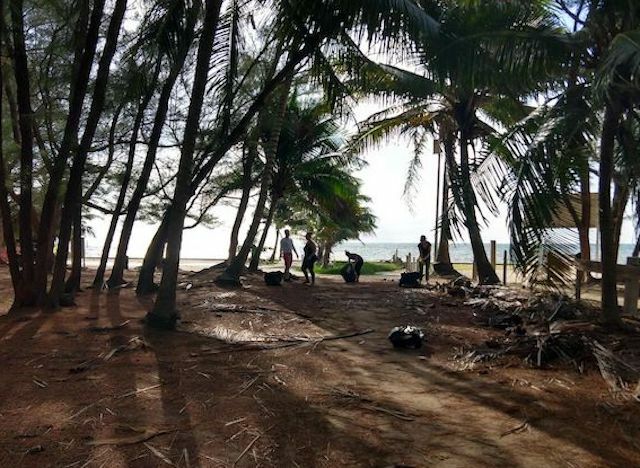 While there is always more that everyone can do, the once-a-month beach cleanups help in keeping the beach beautiful and the sea creatures safe. I’ll admit, I was taken by surprise to the no-straw movement that swept the restaurant and bar scene this past year in my hometown of Denver, CO; however, after the number of straws I alone picked up, I am a "say-no-to straws" believer! 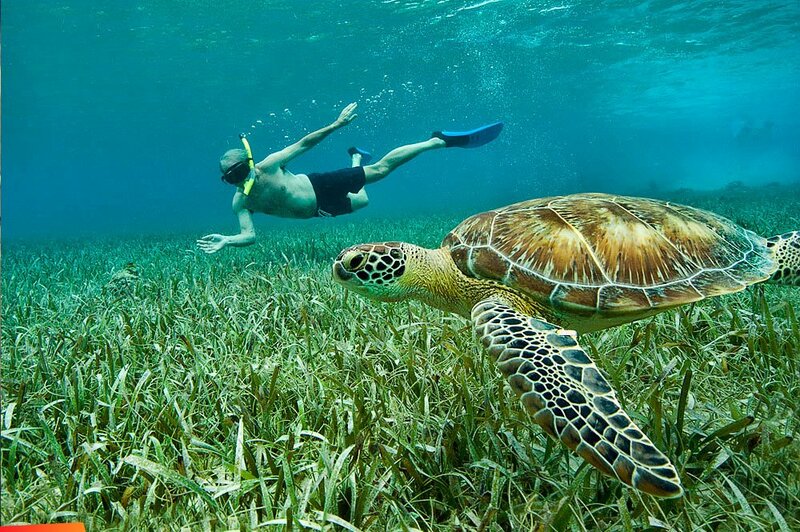 It is refreshing to know that there has been a Belize-wide ban against single-use plastics coming into effect here soon. The monthly cleanup is scheduled between 7:00 - 8:00 am on the last Friday of every month. We meet at the Marriott Sales Office and continue down the beach. We look forward to having you join us.